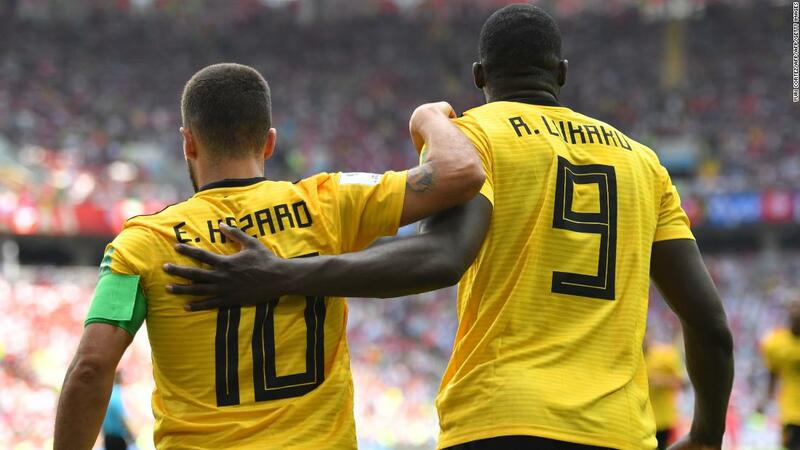 The win leaves Belgium on the brink of securing their place in the knockout stages, while Tunisia are all-but-out of the tournament, needing Panama to beat England on Sunday to maintain even the smallest shred of hope of reaching the knockout rounds. Lukaku's goals take him joint-top of the scoring charts with Cristiano Ronaldo in the race for the golden boot -- both have four goals from the opening two games. Meanwhile, Hazard sits alongside the likes of Philippe Coutinho and Harry Kane on two goals for the tournament so far, behind Spain's Diego Costa and Russia's Denis Cheryshev on three. 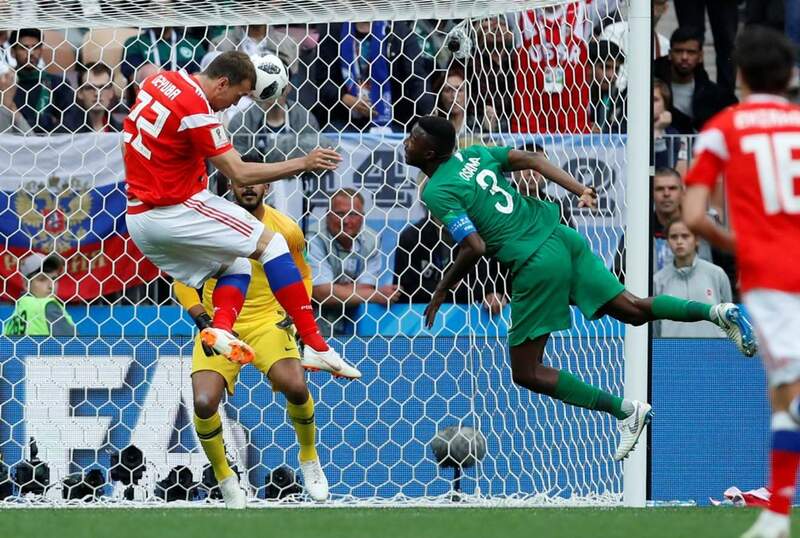 As the goals flowed in the tournament's highest scoring match so far, the run of games without a goalless draw rose to 27 -- the longest streak in World Cup history. The match started at a high tempo with Hazard brought down on the edge of the box inside five minutes, before coolly slotting away the penalty low and left to take the lead. Ten minutes later Lukaku burst through the Tunisian defence, sending an emphatic left-footed shot into the bottom corner of the net to double his side's lead. But Belgium was pegged back moments later as Tunisian captain Wahbi Khazri whipped a freekick into the box, headed home by Dylan Bronn. 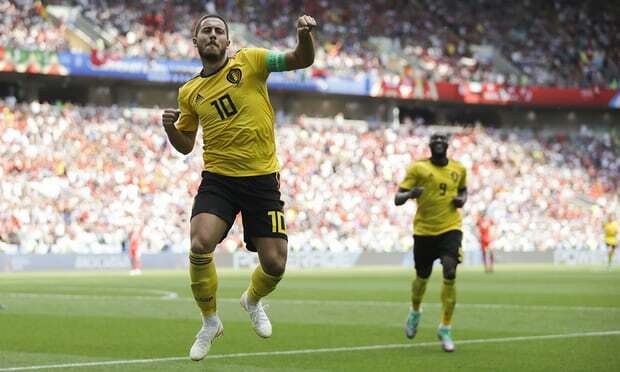 Lukaku then restored the two-goal cushion before half time with a perfectly dinked finish, before Hazard kept his composure once more to round Tunisian keeper Ben Mustapha and tap the ball home early in the second half to make it four. As Belgium sought to rest key players in the second half, the pace of the game slowed, but a string of late chances for Lukaku's replacement Michy Batshuayi went begging before he finally found the back of the net in injury time. Though a late consolation goal followed for Khazri, the defeat leaves Tunisia needing a near-miraculous chain of events if they are to progress to the next round now, as they join Egypt and Morocco in losing both their opening games. 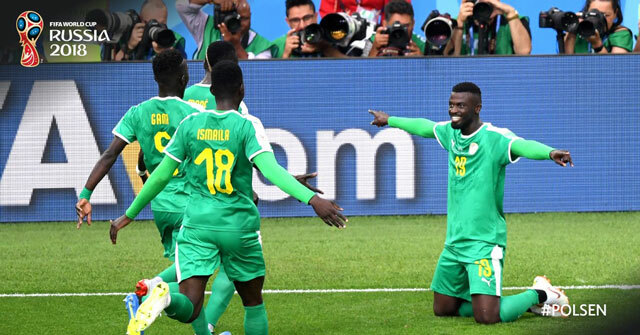 No African nation has ever made it beyond the quarterfinals of a World Cup, and there had been some hope -- as the highest ranked African team -- that Tunisia could be the team to spring an upset in Russia. But with just Senegal and Nigeria still in the tournament, the hopes of a strong African performance are quickly diminishing. Senegal face a crucial game against Japan on Sunday, and could secure a place in the knockouts with a game to spare should they win.